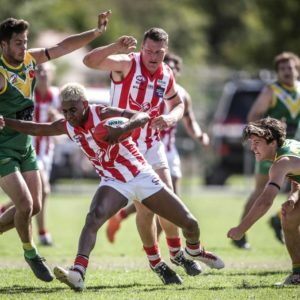 BROCK-Burrum put a fortnight of adversity behind them to topple reigning premier Osborne by 23 points at Osborne on Saturday. Stinging from successive one-point losses to Holbrook and Henty and the suspension of ruckman Matt Seiter, the Saints responded brilliantly to stay in the mix for a top-two finish. Promising youngster Aidan Johnson was the difference with four goals. 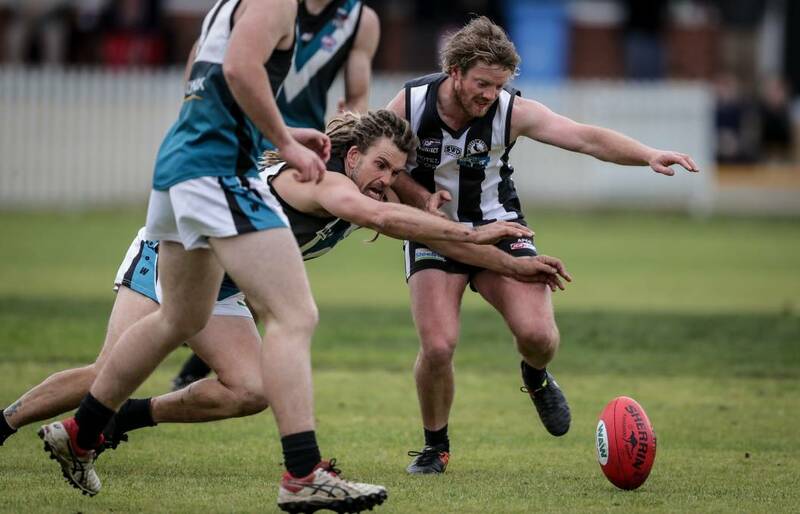 “Losing tight games isn’t enjoyable as a coach and at three-quarter-time it looked like it was going to go down to the wire again,” coach Kade Stevens said. “I know personally I was pretty hell-bent on making sure we got the result and I was happy that everyone else felt the same way. “We weren’t going to let that one slip. Brock-Burrum led by four points at three-quarter-time before picking up the tempo with Johnson, John-Roy Williams, Jeremy Luff, Shannon Boers and Kade Garland playing well. Williams finished the match with eight tackles while Luff kept Azzi medallist Jamie Parr under control. Osborne’s Marty Bahr and Mal Douglas picked up plenty of touches while Duncan McMaster dragged down some strong marks in defence. Although Seiter was suspended for two matches last week, the ruckman would have missed Saturday’s clash anyway due to a prior commitment. Jindera finished strongly to defeat Holbrook by 30 points in front of a big crowd at Jindera. The match was in the balance with 15 minutes remaining before the Bulldogs raced clear through Michael D’Arcy, Danny Middleton and Mitch Lawrence. Matt Crawshaw was forced from the ground again after being concussed while Sam Myors finished the match on the bench with a foot injury. Holbrook’s Josh Jones and Brock Knights won plenty of the ball while Luke Carman held Trent Castles to three goals. Henty star Jarrah Maksymow kicked eight goals in the Swampies’ 80-point win over Howlong. In a league first, the Swampies went into the clash with only 20 players after they had used their 38 player points. They were granted permission by the league to play one short. 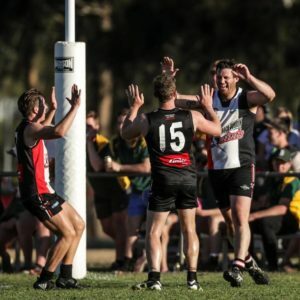 CDHBU continued on their winning way by defeating Murray Magpies by 25 points at Urana Road Oval. Rand-Walbundrie-Walla were always in control of their clash against Billabong Crows at Walbundrie. 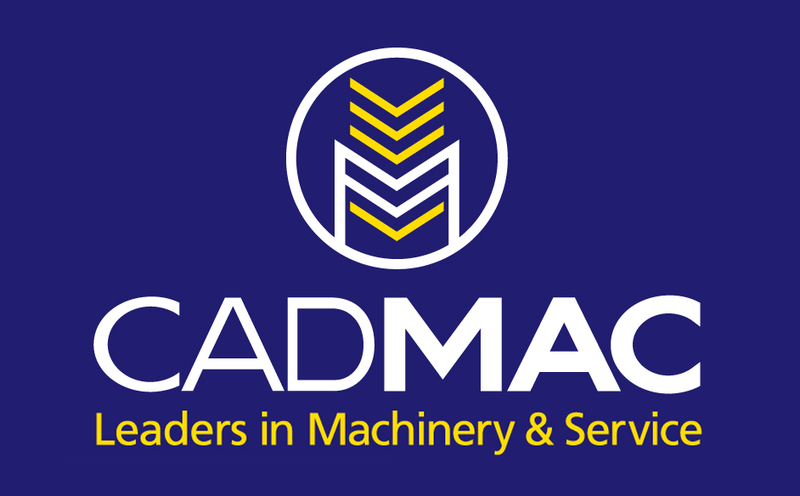 Culcairn stayed in sixth spot by defeating Lockhart with Jye Shields playing a blinder.